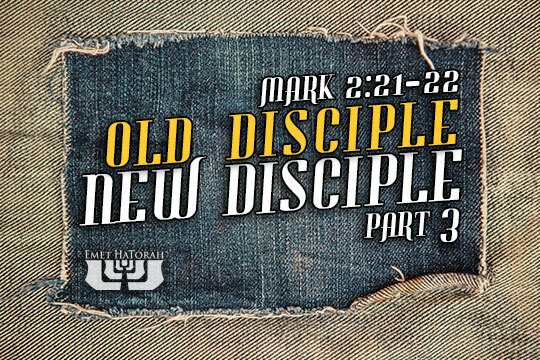 In Part 2 of “Old Disciples, New Disciples,” we took a look at the popular interpretation of these parables to see if it was congruent with Yeshua’s other teachings. We discovered that these parables had nothing to do with the contrast of Christianity against Judaism, as is traditionally taught, and that this interpretation is inconsistent with Yeshua’s emphasis on a return to Torah (repentance) and the coming of the Messianic Era (the Kingdom of Heaven). Let’s now begin to unpack the meaning of these parables. Elisha ben Avuyah used to say: He who learns as a child, what is he like? He is like ink written on new paper. He who learns as an old man, what is he like? He is like ink written on blotting paper. Rabbi Yosi bar Judah of Kefar ha-Bavli said: He who learns from the young, what is he like? He is like one who eats unripe grapes and drinks wine fresh from his wine press. But he who learns from the aged, what is he like? He is like one who eats ripe grapes and drinks old wine. In this passage we find a thread which connects us back to our text. We hear of new paper, blotting paper (used paper), new wine, old wine, and wine flasks being used symbolically to represent types of students and the teaching they receive. We find that the context is in relationship to disciples and the passing on of teachings from generation to generation. In Avot we find a preference for teaching unlearned children over older men who have already been indoctrinated with previous teaching. Then we have the understanding that older, wiser teachers are preferable to younger, less-experienced ones. Last, we are given counsel to not look upon the outward appearance, but to seek out what is within the container. In other words, wisdom is wisdom, no matter the age of the person. Why did Yeshua choose his disciples from among the common people, rather than the scholars of his day? At one point a sinful woman came to Yeshua in repentance. She wept profusely—so much so that she was able to wash his feet with her tears. She then anointed him with a precious ointment. Yeshua contrasted the actions of this woman with those of his well-to-do host, and showed how her actions flowed from love. Because of the woman’s deep remorse for her sins and her demonstration of love towards the Master, Yeshua responded, “Therefore I tell you, her sins, which are many, are forgiven—for she loved much. But he who is forgiven little, loves little” (Luke 7:48). Yeshua chose “sinners and tax collectors,” because they were a fresh slate who would follow him with passion. We must keep in mind, however, that the Pharisees had their own relationship with God which should not be doubted. Yeshua said of them, “Those who are well have no need of a physician, but those who are sick. I came not to call the righteous, but sinners” (Mark 2:17). These parables have nothing to do with one group of people being good and the other bad. Both the new wine and the old wine are valuable. Both the new cloth and the old cloth serve a purpose. This is similar to how it would be highly unlikely that a lifelong Baptist would become a Methodist, or a lifelong Presbyterian would become a Pentecostal. In each case, these are old wineskins and old garments. As old garments they have settled into their static nature and are not interested in any further dynamics. As old wine skins they have been pre-stretched with the doctrines and paradigms of their particular denomination. Without some sort of process by which they can be renewed to be able to hold new wine (new information), they will reject anything new that attempts to be poured into them. Yeshua chose garments and wineskins that could take shape around what he poured into them, rather than trying to pour himself into an inflexible mold. These parables are very appropriate for us today. Many people cannot accept Yeshua’s teachings as they were originally intended, because we have settled for the old wine of our denominations, our theologies, and our seminaries. We have ceased to be interested in new wine, because we enjoy the old. It is comfortable, familiar, safe. Yeshua’s teachings no longer call out to us for unraveling and understanding. Our old wine warms our bellies, clouds our heads, and blurs our vision. What will it take to make us into new wineskins, capable of receiving the fullness of our Master’s teachings? Until we are willing to become new wineskins, we will continue to mold Yeshua into our own image than being molded into his.